On Thursday, March 4, 2010 at 7:00 pm, please join us at our formal meeting as renowned sculptor and painter Victoria Fuller shares her art experiences. Victoria’s works range from delicate watercolor paintings of flora and fauna to large scale public sculptures. Her 35 foot bronze sculpture Global Garden Shovel, recently installed in the city of Seattle, “is constructed from castings and manual replications of indigenous plants and trees from the tropics and northern climates. 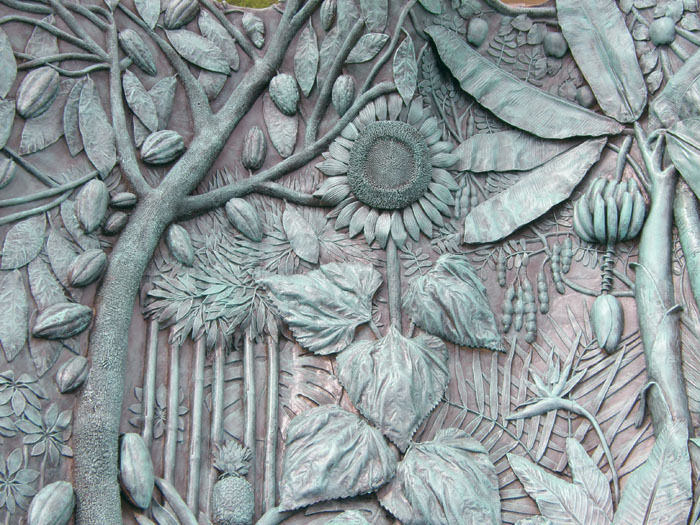 The sculpture is also a reminder of the crucial role that plants play in sustaining life on our planet, such as producing food, medicine, oxygen, moisture, as well as providing beauty and enjoyment in our everyday lives”. 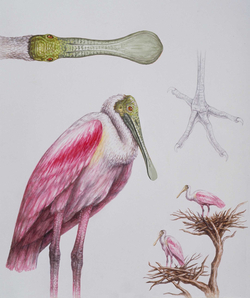 “In search for knowledge and adventure” Victoria has “traveled to China, witnessing the Tiananmen Square uprising, to Africa on photo Safari, and the Amazon on a house boat, creating botanical illustrations. She has lived in Paris to study French, New York to immerse herself in the NY art scene, and in San Francisco to study at the San Francisco Art Institute.” Victoria moved to Chicago in 1992 to obtain an MFA at the School of the Art Institute of Chicago. Her award-winning work has been featured in exhibitions from Chicago to New York, as well as in numerous publications. Please join us for what will surely be a fascinating evening as Victoria shares her experiences. You can read more about Victoria online at http://www.ObjectArtist.com.